When communication flows both ways as oppose to information being passed on with no feedback from or discussion with the receiver. 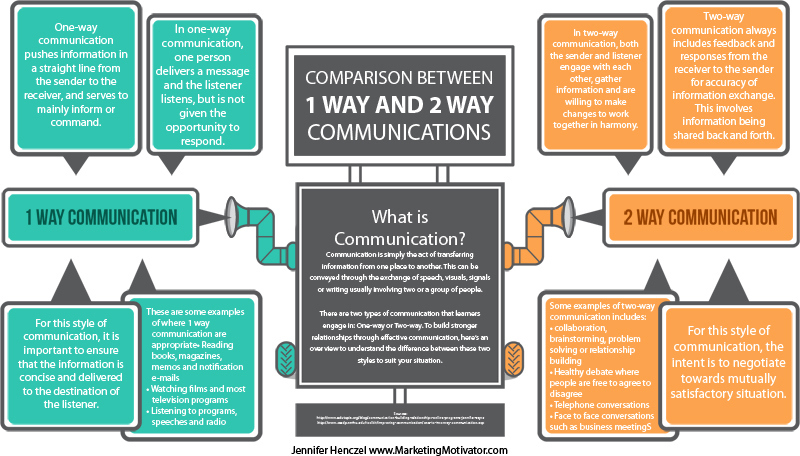 Two-way communication encourage a dialogue between the receiver and the sender. Live Strong: Is Effective Communication a Two-Way Process?